Serving all of Franklin County, Massachusetts, and beyond. Please join us at our next meeting, and bring a friend! Please either join us in Greenfield to carpool, or plan to meet us on the Shelburne side (Water Street) of the Bridge at 6 pm sharp. We will start with a brief (15 minutes) but important business meeting, after which we will hear a brief history of the bridge, which will be followed by a walking tour. We will break up into smaller groups and a member of the Flower Brigade will give us a personalized stroll, pointing out what is new, what is popular, and generally answering our questions about the planting. Built in 1908 for the Shelburne Falls and Colrain Street Railway for trolley service, it went into disuse in 1927 and lay abandoned and overgrown with weeds for 2 years. In 1929, thanks to the Shelburne Falls Women's Club, it went from general eyesore to a glorious Bridge of Flowers. In 1982 it underwent an extensive restoration, with every tree, shrub and plant dug up and ​tended in private gardens for the duration of the repairs. (wow!!) For those of you who are unfamiliar with this local treasure, you can brush up on the Bridge's history on their website. 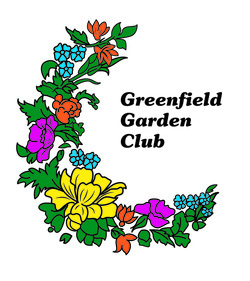 The Greenfield Garden Club is eager to attract new members! Have you attended a meeting recently? Will you bring a friend to the next meeting? Have you paid your dues for 2019?Memberships are $20 per person or $25 for a household. 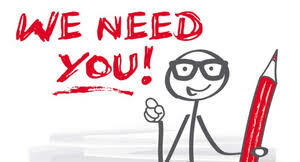 Please send your membership check to Club Treasurer Joanne Burns, 14 Freeman St, Greenfield, MA 01301. You will receive a membership card that you can present at select local businesses for a 10 percent discount. We look forward to seeing you at the next meeting! January 20, 2019 - 1:00 PM Annual Meeting at French King Restaurant. POSTPONED TO MARCH 10 due to snow. February 2 10 am-1pm Winter Farmers Market, Discovery School at Four Corners, 21 Ferrante St, Greenfield. February 21-24 - 38th Annual CT Flower & Garden Show at CT Convention Center, Hartford, CT.
March 2 10-1 Winter Farmers Market, Discovery School at Four Corners, 21 Ferrante St, Greenfield. March 2-17 - Smith College Spring Bulb Show. March 2-17 - Mount Holyoke College 48th Spring Flower Show: Seasons of Change. ​March 3 - Sunday at midnight. Grant Proposal deadline. March 4 - Grant Committee meets at Taylor's Tavern. March 10 1:00 - 4:00 pm - Annual Meeting - John Zon Community Center. POSTPONED TO MARCH 17. 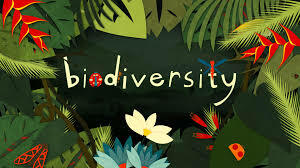 March 13-17 - Boston Flower Show, Seaport World Trade Center, Boston, MA. This year's Theme: "The Beauty of Balance." March 17 1:00 - 4:00 pm - Annual Meeting - John Zon Community Center. Facilitator: Phyllis Labanowski. Refreshments available. Reinvigorate, Reignite, Reimagine. March 30 9-12:30 Arnold Arboretum Weld Hill Research Center - The American Chestnut - When Will It Flourish Again? March 30 - Lower Valley Master Gardener Symposium at Holyoke High School, Holyoke, MA. Bees, Butterflies and Bounty. The latest Buzz in Gardening. $35 thru March 15, $40 late registration. April 4-7: 7th Annual Festival of Flowers, Springfield Museums. April 4 5:00 - 8:00pm - Culture & Cocktails at the Festival of Flowers Springfield Museums $10 members $20 non-members. April 13 10-4 Tower Hill. Opening Day of Wind, Waves and Light, an installation by George Sherwood. Runs April 13 - Oct 14, 2019. Field Trip? Email the club with your interest! April 27 - 8-12:30 Opening Day for the Greenfield Farmers Market at Court Square. May 5 -9 -5 Berkshire Botanical Roy Boutard Day with Lenox Garden Club Daffodil Show. Start of the 85th Season for Berkshire Botanical Gardens. Sunday May 12 Lilac Sunday at Arnold Arboretum. Picnicking is allowed today only! Tours from 10 - 3. May 16 - 6 pm - Bridge of Flowers talk and tour. June 29 & 30 - 10 - 4 daily; 16th Annual Lavender Festival, Johnson Hill Farm. July 13 - 9 to 4 - Silver Gardens Daylily and Arts Festival. 23 Pickett Lane, Greenfield. Thousands of daylilies to choose from! November 2-17 Smith College Fall Chrysanthemum Show. November 1-3 - Cider Days! Celebrate all things apple with special events and tastings. 25th year!